Surf Expo, music and beer. 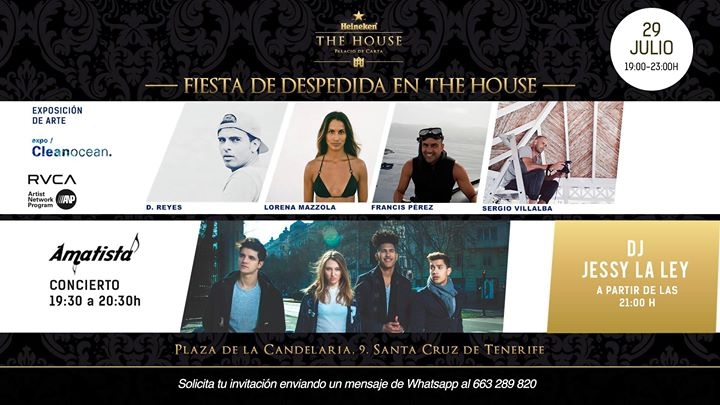 Heineken Tenerife bring you a special event by The House with an art exposition, live music and DJs in el Palacio de Carta in Santa Cruz. The expo shows pictures and videos that illustrate the importance of the ocean. In the afternoon there will be a concert from Canarian band Amatista who blend folk, indie and brit pop. The night will end with DJ Jessy La Ley​ until 11pm.